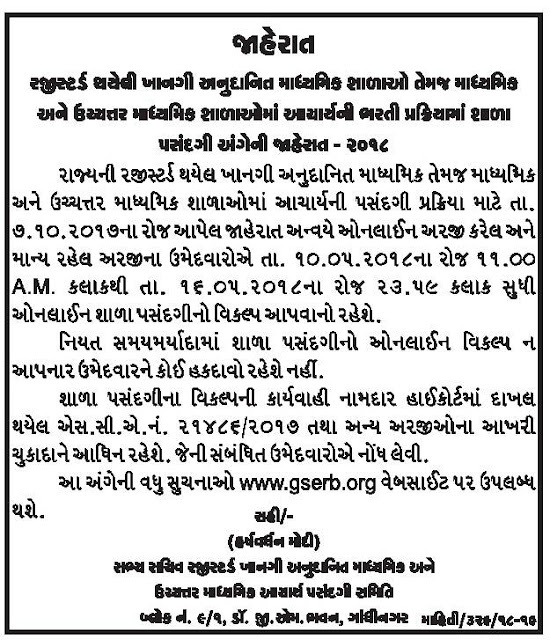 Gujarat Secondary & Higher Secondary PRINCIPAL BHARATI (HMAT) Online School Selection Notification Declared. website along with the official GSEB website- www.gseb.org. CLICK HERE TO READ FULL NOTIFICATION.